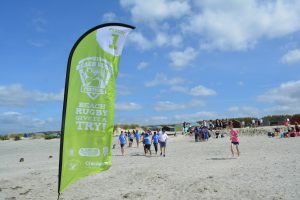 On Friday the 16th June a group of JCC students took part in the RFU Beach Touch Rugby Event in West Witter, Chichester. It was an earlier start, leaving JCC at 6am to get to the start of the tournament at 10.30am. 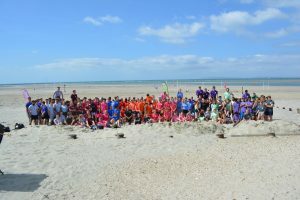 The students enjoyed participating against other 25 colleges from all over the country. They first played in a league where they won 2 out of 4 games, a massive achievement as most hadn’t played Rugby competitively before. Going into the Plate competition, our students faced tough opposition from 5 other colleges, where our students performed beyond expectations. 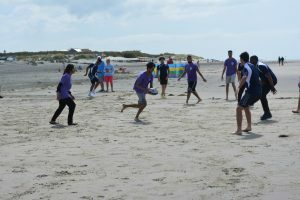 The students enjoyed the sun, sand and sea and made the most of the opportunities to enjoy themselves. 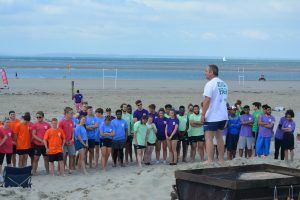 A massive thank you to the Rugby Union coach Robert Jessop, as he prepared the students for the competition ahead. Another massive thank you to Alan Lloyd, a wise and a safe hand at the wheel, who drove for over 8 hours there and back! Images from the day can be seen below.